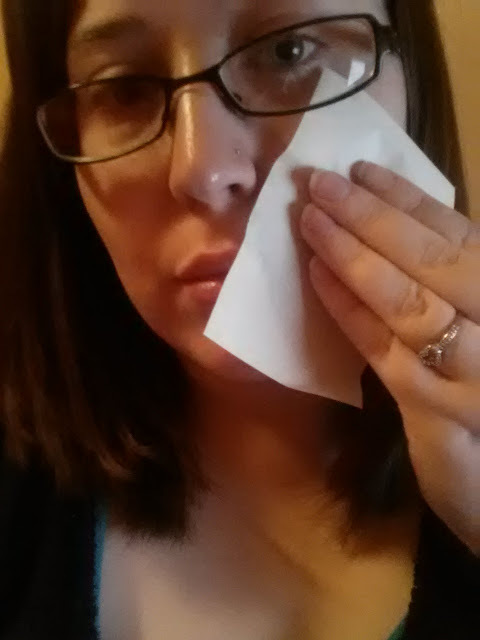 I never really used to use blotting sheets on my skin. Since I have dry skin, I never thought I would need to remove oil from my face, since it probably needs it. I recently purchased a somewhat matte foundation and I realized that my face cream was really thick and made my skin look oily, even when this product was supposed to be matte. 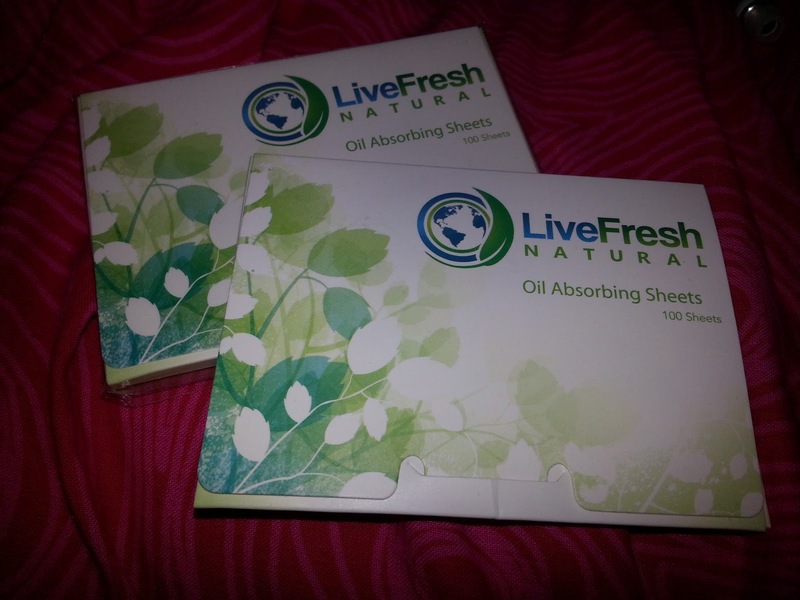 Luckily, I was recently approved to try out the LiveFresh Natural Oil Absorbing Sheets! 1. Carefully open package at front tab. 2. Remove one single sheet from the package. 3. 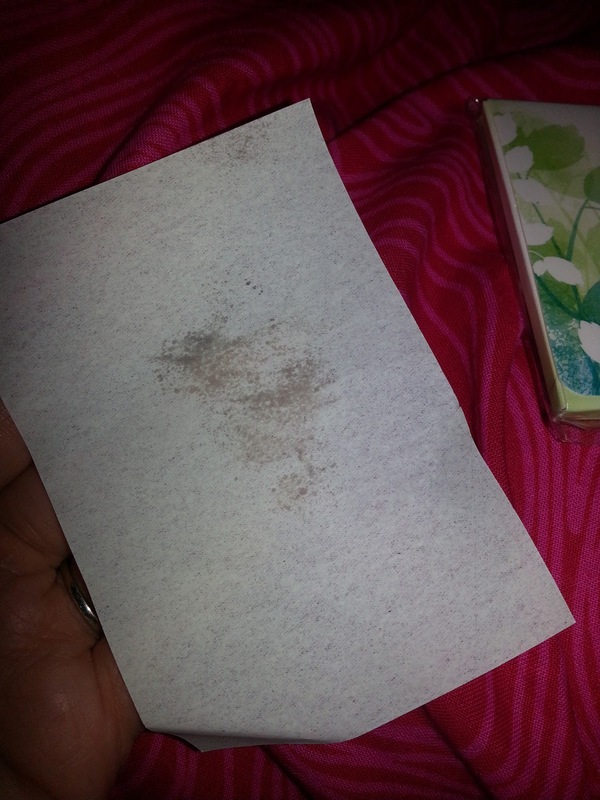 Blot sheet gently on face to remove excess oil and shine. As you can see, they are your typical thin sheet. I did struggle a little to only get one paper out at a time. ✔ USES 100% NATURAL ABACA LEAF FIBER - The LiveFresh Natural Oil Blotting Sheets are infused with one of nature's most powerful antioxidants, green tea, to soothe, protect and freshen your skin. Our product is also eco friendly and uses 100% natural abaca leaf fiber. 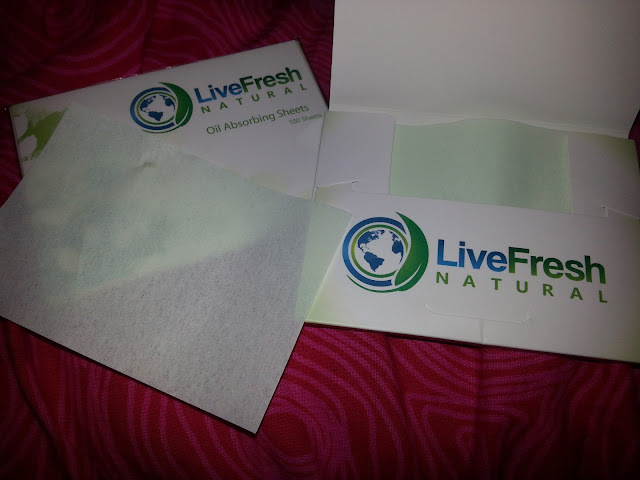 ✔ SAFE TO USE WITH MAKEUP ON - Our premium, super absorbing sheets instantly absorbs excess oil and removes shine from face leaving you with a clean and refreshing look and feel. Our product is also safe to use with makeup on and won't cause smudging. ✔ SOFT, GENTLE, AND EASY TO USE - Our sheets are designed with a finely-woven linen which will not irritate the skin. The slim package design fits perfectly in your pocket, purse or desk drawer. Use them at work, in the gym, or anytime you're in need of a quick cleaning. As you can see, that's oil. (Yuck, I know) it does a really good job of absorbing oil on your face, and they definitely come in handy when you are out running around for the day, or even while at work if you've got oily skin. They are the perfect size to leave in your desk, or even your purse. They are super soft, and don't feel like straight up paper! I have to add that I received this product for free in exchange for an honest opinion.